Eleanor is a character we've met in the previous books of the Tales of Taelis series. But then she disappeared a bit, so now we can see the direction her life is headed in. This is a short story for "filler", you might say, between the bigger novels of the regular Taelis series. This is the story of a girl who doesn't know exactly where her life is headed, and it worries and pains her sometimes as she wonders about it all. Thoughts like this come upon all of us at some point or another... What am I going to do about getting a job? When will I ever get married? Am I happy with the life I'm living in? So we all have those big questions, just like Eleanor. I like to think of this story as a good allegory of life. God already has it all planned out for you. All you have to do is pray and wait to watch His wonders take place. Especially if you've read Adventure and Adversities and Brothers and Betrayal, you would definitely (of course!) 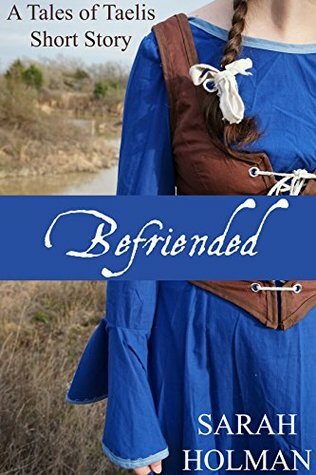 be interested in 'Befriended'. Thanks, Tarissa, for this review -- I'm not acquainted with this author at all!